Juno Lighting Trac-Lites™ Collection Reduced profile 1-Circuit track section in silver color, features rigid extruded aluminum construction with thermoplastic insulator. Surface/pendant mountable section has a dimension of 1-3/8-Inch x 1/2-Inch. It has two 12-gauge solid copper conductors for reliable operation. The 8-ft long track section is rated 20-Amps at 120-Volts. 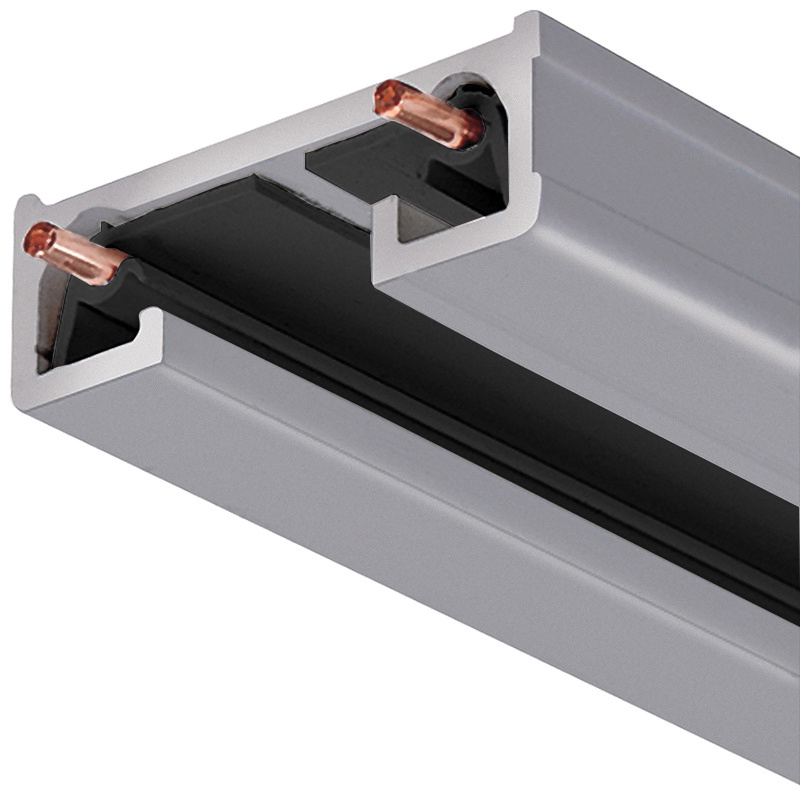 Rigid extruded aluminum channel is used as a system ground for added safety. The 1-Piece insulator assures consistent conductor spacing thereby providing reliable electrical contact.